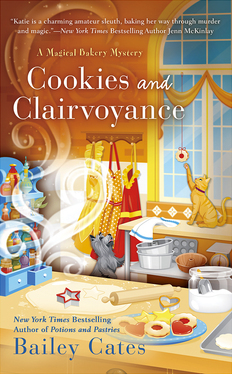 Hedgewitch Katie Lightfoot is juggling wedding preparations, a visit from her father, and home renovations on top of her long hours at the Honeybee Bakery, where she and her aunt Lucy imbue their yummy cookies and pastries with beneficial magic. But when firefighter Randy Post is accused of murdering a collector of rarities, and his prints are on the statue that was used to kill the man, Katie steps in. Katie is a charming amateur sleuth." 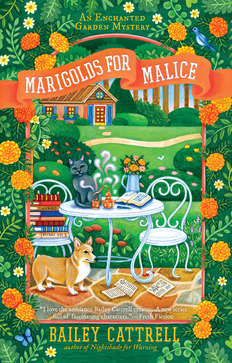 Elliana Allbright is happy running her perfume shop, Scents & Nonsense, in the charming town of Poppyville, California. And she's even happier when she can use her inherited abilities to infuse her perfumes with an extra special something that eases woes or solves problems for her customers. But she'll need those abilities and more when murder comes to town. Sign up below for my every-once-in-a-while newsletter. I'll never use your email for anything else, and I'll never share it with anyone else.